Clinic Synopsis: We will present a codified, systematic approach for the deconstruction of live ensemble sound and teaching ensemble fundamentals within a musical context. Using the Gravelly Hill Middle School Concert Band as a model group, we will provide a detailed system for identifying and manipulating the various approaches to fix ensemble pedagogical issues offering clarity and alignment within your program; this will be done within the context of the music that your band is currently preparing. Clinician Biographical Information John D. Pasquale is a member of the conducting faculty at the University of Michigan serving as the assistant director of bands where he conducts the University Band, Campus “Maize” and “Blue” Bands, and guest conducts the Symphony Band, Symphony Band Chamber Winds and Concert Band. He is also associate director of the Michigan Marching and Athletic Bands, director of the Michigan Hockey Band, inaugural conductor of the Alumni Concert Band. 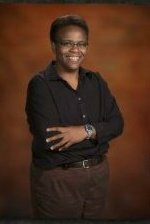 He teaches conducting and program administration through independent study and directs the summer program, “Instrumental Music in China: Cross-Cultural Performance and Pedagogy,” in Beijing, Shanghai and Xi’an, China. Dr. Pasquale served as a conducting associate to the Wind Symphony, Opera Orchestra, "The Pride of Oklahoma" Marching Band, New Century Ensemble, Faculty Composer Concert Series, Symphony Band, and Concert Band. Second Clinician Biographical Information Arris A. 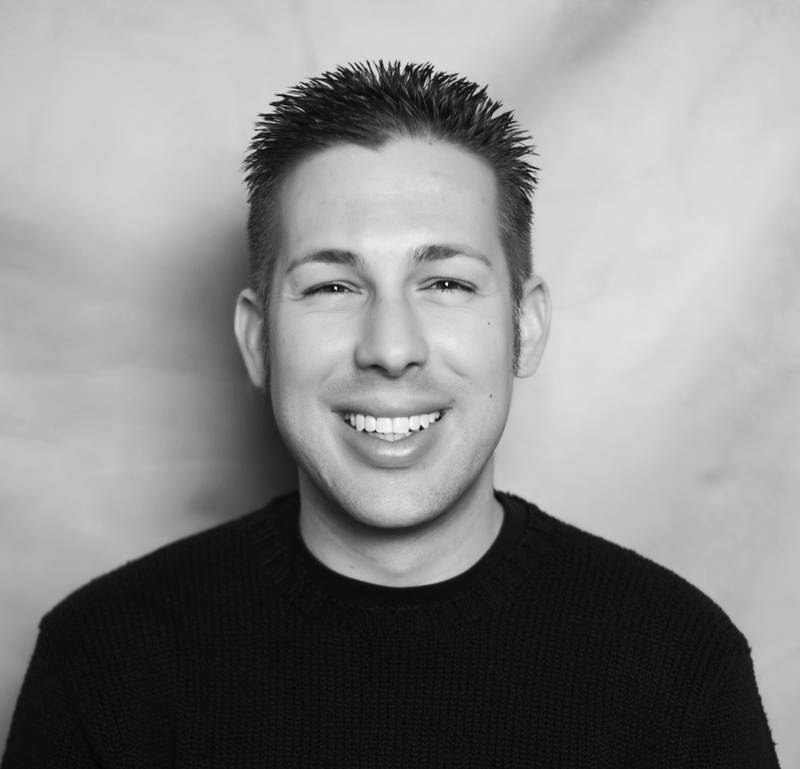 Golden is the Director of Bands at Gravelly Hill Middle School in Efland, North Carolina. A native North Carolinian, Ms. Golden received her undergraduate degrees in Music Education and Political Science from the University of North Carolina at Chapel Hill in 1996 and 1991, respectively, and received the Master of Music Education degree from the University of North Carolina at Greensboro (UNCG) in 2004. Currently, Ms. Golden is pursuing the Doctorate in Educational Leadership from the University of North Carolina at Chapel Hill. Since the creation of the Gravelly Hill Middle School Band Program in 2006, the Gravelly Hill Bands have grown to a membership of 119 students, featuring band classes for all grade levels, percussion ensemble, jazz ensemble, as well as numerous smaller ensembles that meet throughout the school year. The Gravelly Hill Concert band has participated in multiple adjudicated festivals in the past four years of the school’s existence, receiving only Excellent and Superior Ratings. As participants in the Central District Music Performance Adjudications each spring, the Gravelly Hill Concert Band has received only Superior Ratings, receiving at Straight Superior rating in March 2010. Student members of the Concert Band have worked with numerous clinicians during its four years of existence, including the premier of a newly commissioned work for band, “Kitsune: The Fox Spirits,” written for the Concert Band by Mr. Brian Balmages. In November 2010, the Concert Band was one of two featured middle school bands at the North Carolina Music Educators Annual In-Service Conference held in Winston-Salem, North Carolina; this invitation included a concert performance by the band, as well as a clinic performance under the leadership of Dr. John Pasquale, Assistant Director of Bands, the University of Michigan, Ann Arbor. Prior to her appointment as Director of Bands at Gravelly Hill, Ms. Golden held similar positions at Hawfields Middle School in Mebane and West Cary Middle School in Cary. During Ms. Golden’s tenure at both schools the band programs increased in overall student membership and overall musical quality. Under Ms. Golden’s guidance, the Hawfields and West Cary Bands received only Excellent and Superior ratings at concert band festivals and competitions. Numerous students at each school qualified for the North Carolina All-State Honors Band, the Central District Middle School Honor Bands, and the Alamance and Wake All-County Bands respectively. In 1999, the West Cary Advanced Band was privileged to perform as one of two featured middle school bands at the North Carolina Music Educators' Conference in Winston-Salem, North Carolina; this is the only invitation that has been received by a West Cary band in the school’s 41-year history. Ms. Golden has served both the North Carolina Bandmasters Association (NCBA) and the Central District Bandmasters Association (CDBA) in numerous capacities during her years as a member. 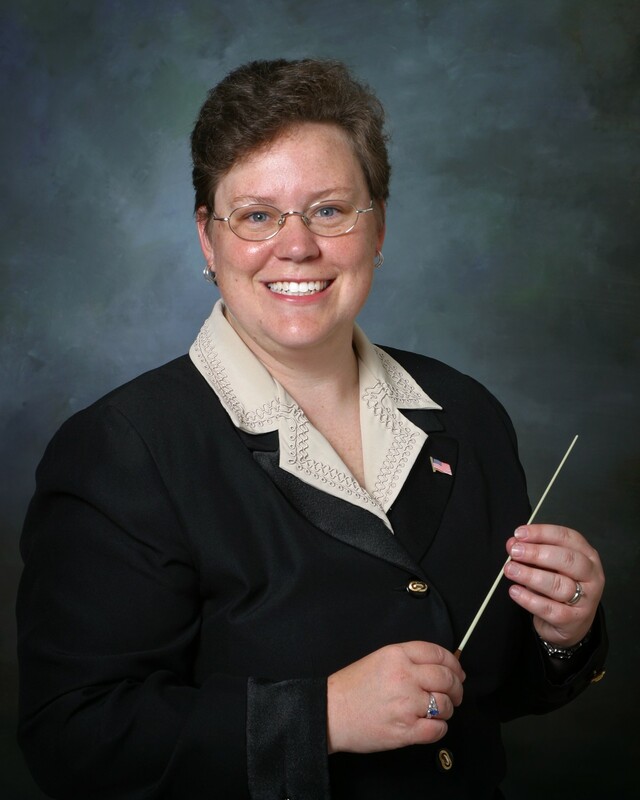 She has served on the NCBA Board of Directors and currently serves as chair of the NCBA Percussion Committee and CDBA Middle School representative on the Concert Band Music Performance Adjudication (MPA) Committee. She has served as chair of the CDBA Middle School All-District Honor Bands, the CDBA Middle School Concert Band MPA, and has served as Secretary, President-Elect, President, and Past-President of the CDBA. Ms. Golden is in constant demand as a guest conductor, concert band clinician, marching band instructor, and marching band adjudicator throughout North Carolina and Virginia. Ms. Golden has also served as a guest conductor for the UNCG Summer Music Camp, Cape Fear Wind Symphony, Director of Athletic Bands at Campbell University and is currently co-conductor of the Central Carolina Winds, an adult wind band based in the greater Hillsborough area. Ms. Golden’s professional affiliations include the American School Band Directors Association, Music Educators National Conference, the North Carolina Music Educators' Association, the Central District Bandmasters’ Association, and Sigma Alpha Iota: Women’s Professional Music Fraternity. Third Clinician Biographical Information Patricia Hughes Quigley is the Director of Bands at Cedar Ridge High School in Hillsborough, North Carolina. A 1990 recipient of the North Carolina Teaching Fellows Scholarship, Ms. Quigley attended the University of North Carolina at Chapel Hill, earning the Bachelor of Music Education Degree in 1994 and later attended The University of North Carolina at Greensboro (UNCG) earning the Master of Music Education Degree in 2004. She received certification from the National Board of Professional Teaching Standards in 2007. Since the foundation of the band program at Cedar Ridge, ensembles have performed concerts and participated in festivals throughout the eastern United States, achieving only excellent and superior ratings at adjudicated festivals. The Wind Ensemble has received only straight superior ratings at the North Carolina Music Performance Adjudication (MPA) and in 2006, was a featured ensemble at the annual North Carolina Music Educator’s Conference in Winston Salem, North Carolina. Student performers in each of the Cedar Ridge Bands have achieved numerous individual accolades and are members of countywide, district-wide, and state-wide honor bands and ensembles each school year. As a member of the Central District Bandmasters Association (CDBA), Ms. Quigley has served in many capacities throughout her career. She has been chairperson of the Central District High School All-District Band Clinic and has served as the chair and site host of the Central District Middle and High School Concert Band MPA since 2005. Currently, she serves as the Secretary for this organization, a post she has held since 2004. Patricia was chosen by her colleagues as the North Carolina Central District Award of Excellence recipient in 2006 and was selected as the Central District’s Band Director of the Year in 2005. In 2008, Ms. Quigley was the North Carolina Representative featured in School Band and Orchestra Magazine’s annual “50 Directors Who Make a Difference” article. Ms. Quigley was also featured in the Conn-Selmer Keynotes Magazine as the “Director of Note” in the spring of 2006. Most recently, Ms. Quigley has been elected by her peers to the prestigious American School Band Director’s Association. Ms. Quigley is also active as an adjudicator for both concert and marching band and is a member of the UNCG Summer Music Camp conducting staff. Her professional affiliations include Music Educators’ National Conference, the North Carolina Music Educators’ Association, the American School Band Director’s Association, and Sigma Alpha Iota, Women’s International Music Fraternity. Ms. Quigley lives in Burlington and enjoys spending her free time trying to become a distance runner and amateur farmer.